This sweet little (8” x 7”) hand embroidered project is the perfect herald of Spring! 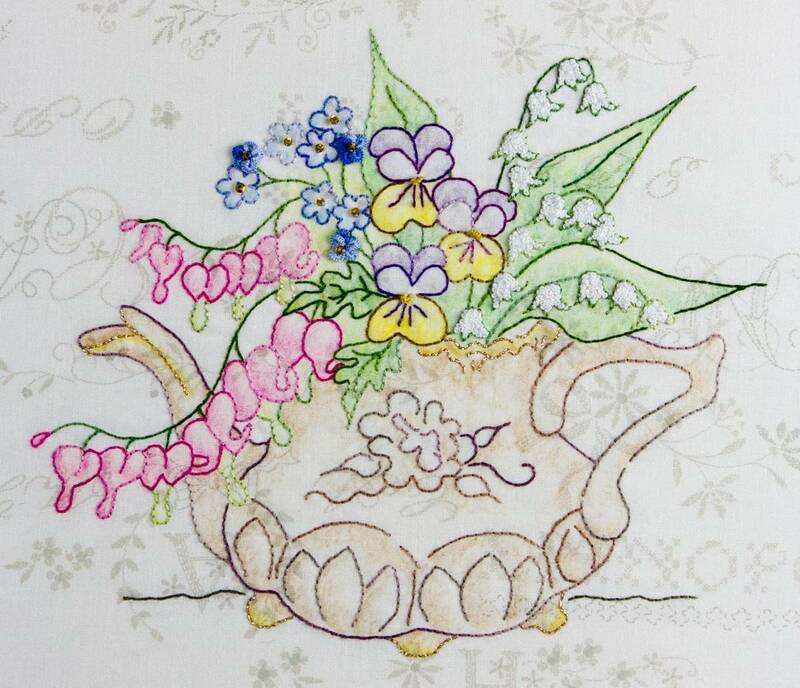 Pansies, Bleeding Hearts, Forget Me Nots, and Lily of the Valley in an old teapot with a sparkling edging of Sparkle Floss! It’s crayon tinted and even has a few beads added for a little more bling!